If you’ve ever tried to do a low calorie diet you know how hard it is. Also you know how hard it is to get good calories while consuming very little. This 800 Calorie diet menu in the plan below will help make it easy to complete in the next seven days. It will work for anybody, any size, any shape, and most any current health condition. What does a 800 calories a day look like? Scroll down just a bit more and you will see, exactly how you will eat 800 calories a day to lose weight. With this simple one page plan, it will be as easy start your healthier life. It is full of highly nutritious food that is high in fiber. There’s also some examples and tips and tricks on foods that you can consume that have virtually zero calories like our 30 calorie side salad recipe and 20 calorie soup recipe. Check out our site for these and more. If you are concerned about your ability to stay healthy on this type of plan, consult your doctor or see our Daily Calorie Needs Calculator . Please refer to my suggested daily diet chart to choose the best diet menu for you. Please enjoy this 800 Calorie diet menu plan for your weight loss, and let me know what you think. It’s the exact diet meal plan I used to lose the weight after my 3rd child. Also, I go back to it any time I gain, to stay at my healthiest weight, which is what I wish for you. 800 Calories a day – Every Other Day Diet for 14 Days. 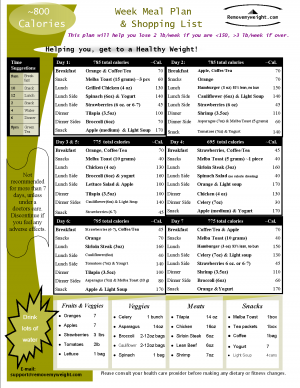 I would advise before you print out this diet, that you look over the 1200 calorie diet option. This is one of our most popular plans for steady and healthy weight loss that will give you plenty of energy to exercise. If you choose to do this diet while you eat 800 calories a day to lose weight my best recommendation to do it every other day so that you have days recovery in between and you will not risk unbalancing your metabolism. 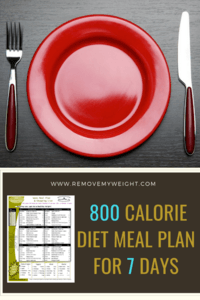 An 800 calorie diet menu plan works best for those that are currently not exercising regularly as it is not typically enough to have the additional fuel your need for a workout. 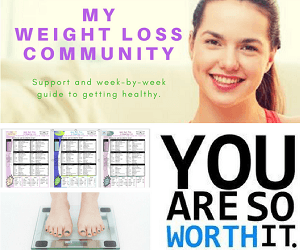 Please send questions or suggests to support@removemyweight.com so that we can grow our site to better serve you.